A home is more than a structure– it’s a tangible and technical representation of the family that inhabits it, and the life that they’ve created. Your home should tell a story, and communicate your sense of style. 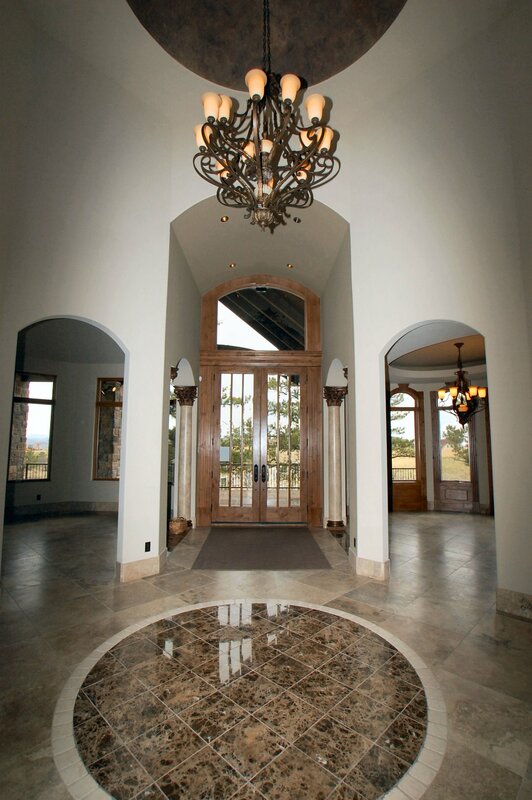 When it comes to creating the perfect custom Colorado home, the delight is truly in the details. From bespoke tilework to personalized iron finishes, the smallest design details often make the strongest visual impact. Take a tour through some of our favorite projects to start dreaming up your perfect details. Your foyer is your home’s chance to make an impactful first impression. Custom tilework is an excellent way to draw attention inward, while creating a beautiful focal point within the grand entrance of your home. 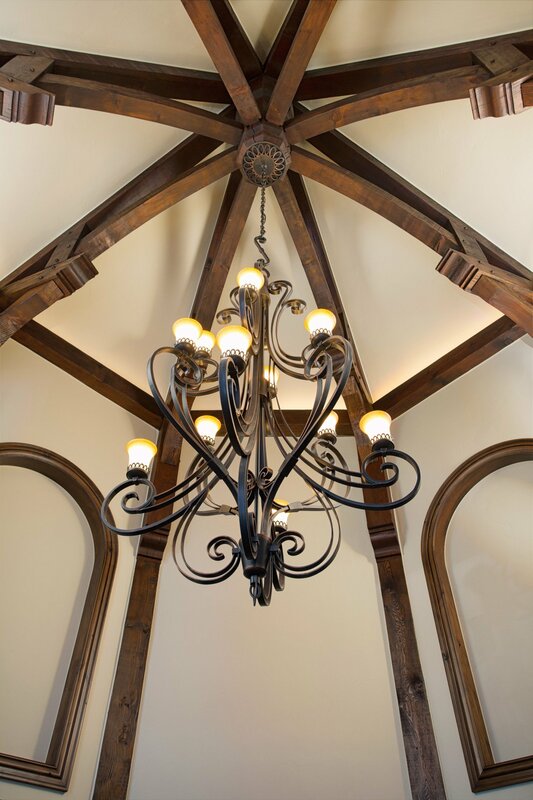 We cannot get enough of these incredible wood ceiling beams, complete with hand-carved detailing and an elegant iron chandelier. Beam accents are a great way to draw the eye upward to the lovely vaulted ceilings. Elegant, sophisticated, and just plain fun! 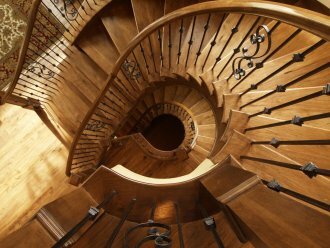 Paired with unique iron balusters, this staircase spans three stories and is the perfect visual pop, no matter what floor you’re viewing from. You might not be able to fly to Napa this weekend, but you can certainly bring the wine country to you. 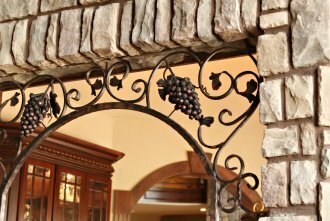 In this home, custom iron accents frame the wine cellar entryway, bringing a little California flare to a Colorado home. We love layering different materials and patterns, like angular stone and whimsically curled vine detailing. Whether you’re an expert in the kitchen or a chef in-training, an elegant custom backsplash will make you feel like you’re cooking in a 5-star restaurant. 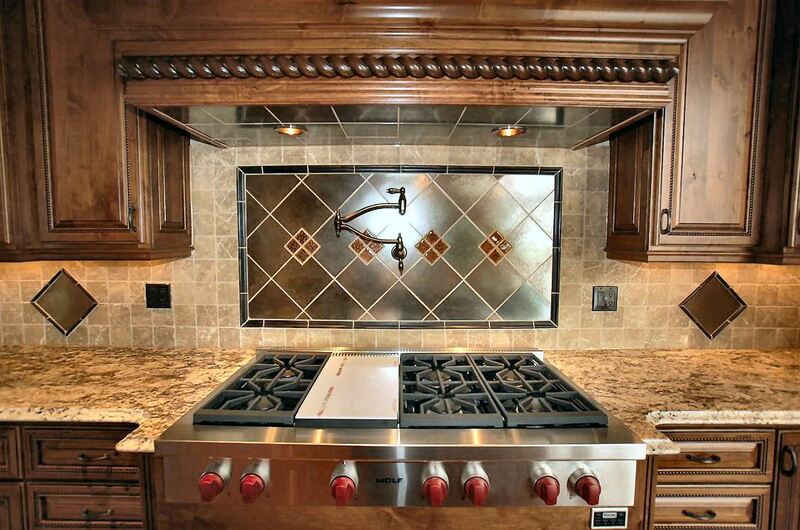 Bonus detailing: Check out the gorgeous carved wood piece above the backsplash, adding an extra pop of sophistication!